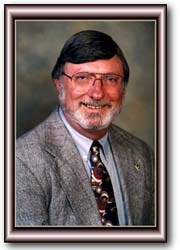 Ronald G. Johnson (b. September 21, 1943) is a Republican member of the Alabama House of Representatives, representing District 33, Coosa and Talladega counties. He was first elected in 1978. Johnson is currently a pharmacist and partner with Medical Care Equipment Incorporated. He and his wife, Susan, have one child. Johnson is a member of the Alabama Pharmaceutical Association, American Pharmaceutical Association, Auburn Kiwanis Club, Executive Board of the South, Maryland Pharmaceutical Association, National Federation of Independent Business, South Talladega County Pharmaceutical Association, Sylacauga Chamber of Commerce, Sylacauga Retail Merchants Association and Talladega Kiwanis Club.